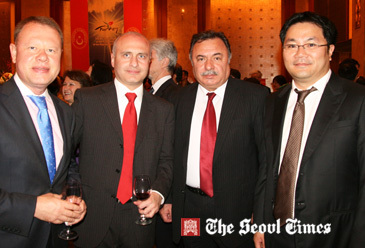 Dr. Ryu Sang-Wook (right), the medical director of Grand Plastic Surgery Clinic poses with Ukrainian, Georgian, Azerbaijan ambassadors at a recently held diplomatic event in Seoul. Among hundreds of plastic surgery clinics clustered in Seoul’s Gangnam area, the Mecca of South Korea’s medical industry, Grand Plastic Surgery Clinic stands out. Equipped with state-of-the-art medical facilities and top-notch skills its 31 highly specialized doctors meet their patients, both locals and foreigners in its own system of one-stop service that includes airport pick-up and post-surgery care. 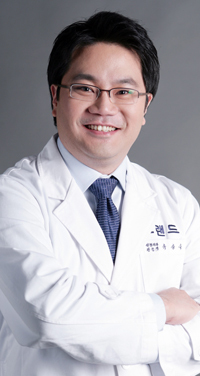 With Dr. Ryu Sang-Wook, medical director, at its helm Grand is gearing up for expanding its medical services to medical tourists coming from Asia, Russia, the US, and even South American countries. The Seoul Times has recently met with Dr. Ryu to find out the secrets of Grand’s success and listened to his future plans for further expansion. The following is the full text of the questions and answers. Q1: What are the characteristics of Grand Plastic Surgery Clinic and what distinguishes Grand from other plastic surgery clinics? A1: We have five specialized clinics at five plastic surgery and dermatology centers all equipped with state-of-the art facilities. They are eye and nose clinic, facial contouring clinic, bimaxillary operation clinic, body contouring clinic, and the anti-aging clinic. And this means we are highly specialized. A total of our 31 medical specialists — plastic surgeons, oral & maxillofacial surgeons, ENT doctors, anesthesiologists, dermatologists, and physicians – provide collaborative diagnosis and surgery system to our patients. One of our strengths is that we have built and maintain wide alumni networks with such renowned institutions as Seoul National University, Samsung Seoul Hospital, Harvard Medical School, Yale-New Haven Hospital, and MD Anderson Hospital. We also provide our foreign patients with excellent translation services including English, Chinese, Japanese, Mongolian, Russian, and Vietnamese. 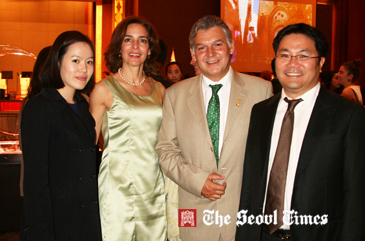 Dr. Ryu Sang-Wook (2nd from left) poses with Dominican Republic ambassador and other dignitaries at Lotte Hotel. For these reasons a number of K-pop stars and other Korean celebrities visit our clinics for surgeries and treatments. Q2: Could you explain more about the types of medical services Grand offers to clients? What are the strengths of Grand clinic? A2: Our 31 doctors have their own specialization. For instance breast surgeries are performed only by breast surgeons and facial contouring surgeries are performed only by facial contouring specialists. In case of a nose job, if the patient has a functional problem, then ENT doctors and plastic surgeons will perform the surgery together to solve the functional problem and to improve the aesthetic look. For our foreign patients our language coordinators, who are all native speakers, offer one-on-one services in six different languages. After the surgery diversified post-surgery treatments are provided free of charge. One more feature of our clinic we offer one-stop medical service system. Our services include online consultation before arrival, airport pick-up service for arrival, aid for visa application, face to face consultation, surgery, post-surgery treatments, airport drop off service, and follow-up with patients. Q3: Could you comment on the recent trends of plastic surgery in cases of foreign patients? A3: Trends are different depending on ethnicity. Caucasian patients are more likely interested in body contouring surgeries such as liposuction, tummy tuck and breast reduction (lift). Meanwhile, Asian patients are more interested in facial cosmetic surgeries such as double eyelids, nose augmentation, and facial contouring. Q4: How important are foreign clients to your clinic? How many of your clients are non-Koreans? Where do they usually come from? What are their nationalities? A4: Foreign patients are as important as local patients. About 10 to 15 percent of our patients come from overseas. 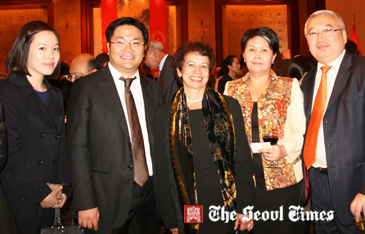 Dr. Ryu Sang-Wook (right) poses with ambassador of Colombia. Usually many patients are from Asian countries such as China, Malaysia, Singapore, Indonesia, Vietnam, Mongolia, and Russia. However, we also have many Caucasians coming from the US, Canada, Australia, even from European countries and South Africa. Q5: Please tell us more about the arrangements which will be made for these foreign clients coming to your clinic. What are the procedures which foreign clients will have to go through to get treatments from your clinic? Do you also offer accommodations to them? A5: As aforementioned, our one-stop medical service system covers it all for our foreign clients. Again, online consultation before arrival, airport pick-up service for arrival, aid for visa application, face to face consultation, surgery, post-surgery treatments, airport drop off service, and a follow-up with patients are all included in our service. Also we have many affiliated hotels and residences in Seoul. Patients can book rooms with discounted rates if they book through us. 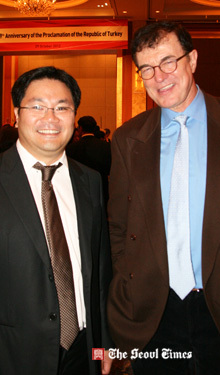 Dr. Ryu Sang-Wook (right) poses with ambassador of Brazil. Q6: How would you rate the level of Korean medical skills particularly in the field of plastic surgery and why do you think foreigners choose Korea over other countries for their medical treatments? A6: Korean medical skills in the field of plastic surgery are the best in the world. Because of the high local demand, Korean surgeons obtained a lot of experience compared to surgeons of other countries and this helped them improve their medical skills. Due to the “Korean Wave,” many foreigners wish to look like K-pop stars and Korean celebrities. That’s why they choose to come to Korea to get the surgeries as they think that Korean doctors have the most knowledge and skills to make them look like Korean celebrities. Q7: Do you have any plans to expand your clinic or enhance your clinic's medical services in any aspects for foreigners in the future? A7: Yes, we have plans to expand to countries in South East Asia. We always try to provide customized services for each nationality as they have different way of thinking and expectation. Q8: Could you answer some of these personal questions? What made you choose this medical profession in plastic surgery? Were there any special reasons? 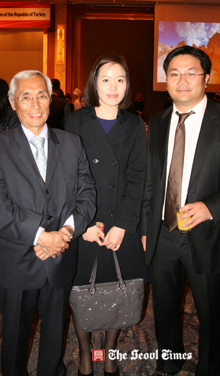 Dr. Ryu Sang-Wook (right) poses with ambassador of Malaysia. A8: The plastic surgery field was very interesting to me and I have good hand skills. I believe it is such a rewarding job that I can help many people look more beautiful. With my efforts my patients regain their self-esteem and they feel happy about their changed looks. Q9: I heard that medical doctors in general work under heavy stresses and strains. What is your remedy for this? Do you have any hobbies? Do you exercise? A9: My remedy for stress and strains is to exercise. I go to the gym regularly and play tennis. Q10: Could you introduce your family including your children? A10: My wife is also a doctor who is a physician. My wife works with me at the clinic and she takes care of patients after the surgery for faster and better recovery. I have two children who are three and six years old, respectively.